Nowadays, Internet users make up nearly half of the world’s population with a projected billion new users by 2020. This trend is accompanied by an increasing reach and exposure to the global network due to significant developments of social media and mobile technology. Unfortunately like any other technological innovation, Internet became a double-edged sword. Recent revelations, such as Edward Snowden’s put a magnifying glass on various practices that jeopardize Human Rights. Mass surveillance, legitimized by the fight against terror and cybercrime, is outstripping legal protections related to personally identifiable information and other sensitive data. Furthermore, these methods are no longer limited to government use. We are witnessing a thriving new economy built upon mass consumer surveillance and data collection. Helping companies track people’s personal data in order to have efficient advertising. However, these data bases are easy targets for spies, terrorists, hackers and criminals on a global scale. Which requires a new legal framework capable of ensuring a new governance model for the Internet. With an emphasis on cybersecurity and privacy. 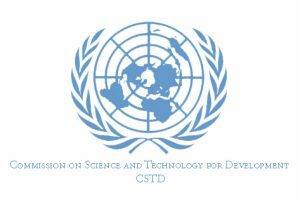 The Commission on Science and Technology for Development needs to provide appropriate analysis and policy recommendations to help enforce past agreements and look for further international cooperation.